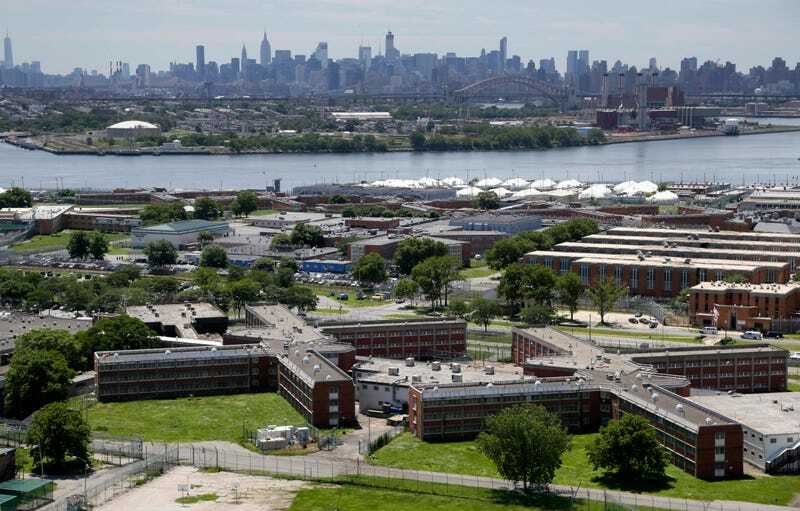 Earlier this year, New York City Council Speaker Melissa Mark-Viverito formed an independent commission to determine whether the dilapidated and violent city jail on Rikers Island should (and could) be shut down. Now, Politico New York reports, the vultures are circling: real estate developers like Related Companies, which developed the Hudson Yards megaproject, and Forest City Ratner, which co-developed Pacific Park, the area around the Barclays Center formerly known as Atlantic Yards, have expressed an interest in the site. “Closing Rikers will also open up the island to development,” Durst Organization spokesman and industry lobbyist Jordan Barowitz told Politico. “It would be foolish not to engage the expertise and resources of the real estate industry in the disposition of this valuable asset.” Plans for Rikers following a still very theoretical closure tend to take two forms: connecting the island with nearby LaGuardia airport—a plan championed by Governor Andrew Cuomo—or developing the island for residential housing. The mayor has also promised to “build or preserve nearly 200,000 affordable units” over the next decade, a necessary and noble aspiration that requires the cooperation of the real estate industry. As many as 25,000 new apartments could be built on Rikers, according to Crain’s New York. “I’d like to see a community built that would address the city’s needs for affordable and supportive housing—including people with [criminal] records,” said JoAnne Page, chief executive of the Fortune Society, a nonprofit dedicated to reforming the criminal justice system. That community could be as large as 65,000 people, or roughly on par with the West Village, according to Ginsberg Architects, which drew up a plan for a residential Rikers island at the behest of Crain’s. The plan sticks to the city’s grid system, with 80 blocks of homes and businesses, several schools and 80 acres of park space. Lying in the flight path of LaGuardia limits heights on the island, so the architects envision buildings no taller than 100 feet, and a total construction cost of about $7 billion for the apartments, before any infrastructure improvements the island would need. A large park could act as a buffer between the housing and the runways of LaGuardia Airport. A new vehicular bridge could connect the island to Astoria and carry an extension of Mayor Bill de Blasio’s proposed Queens-Brooklyn streetcar. A ferry could run to Manhattan and to Hunts Point in the Bronx. Or they could build Cuomo his airport extension.